Alas, the good people of the commonwealth appear to disagree. Last month a poll from Quinnipiac University found Kaine leading the Republican challenger for his Senate seat by 18 points; now, a survey from the L. Douglas Wilder School of Government and Public Affairs puts Kaine’s lead at 23 points – with Stewart boasting the support of a mere 26 percent of likely Virginia voters. But while Stewart was never a serious contender for Tim Kaine’s seat, the margin of his polling deficit matters: If the GOP’s Senate candidate can’t keep his race within the vicinity of “competitive,” he could end up depressing turnout among Republican voters statewide – and help Democrats flip some of the state’s House seats in the process. Republican representative Barbara Comstock is almost certainly a goner, regardless of how Stewart performs. But if the Senate race looks like a laugher in November – and the blue wave keeps building at its current pace – Dave Brat and Scott Taylor could wash out with the tide. 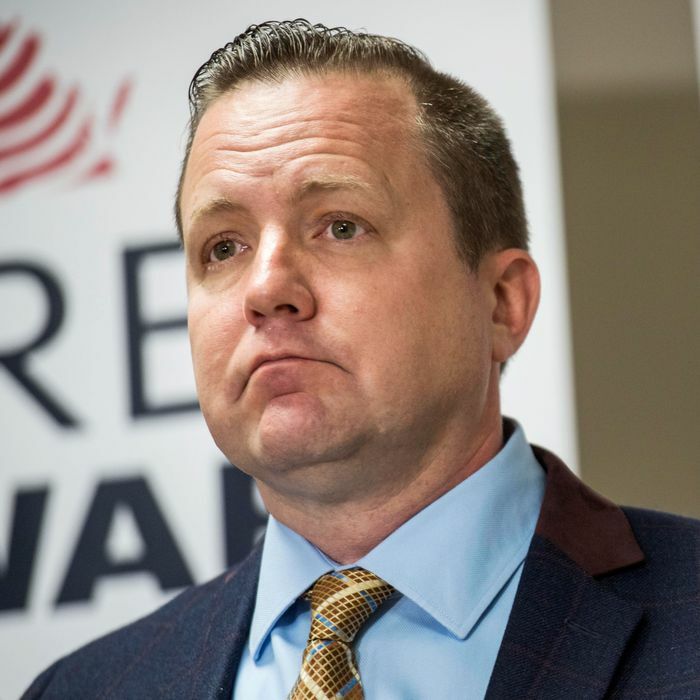 And, at least for the moment, Stewart’s campaign is looking like a cause exactly as noble and lost as that of treasonous slaveholders he so ardently admires.